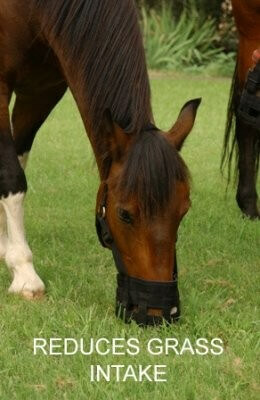 Grazing Muzzles are recommended by equine health professionals to prevent, as well as treat Laminitis, founder, and obesity. 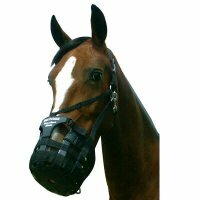 The body of each muzzle is made of soft, comfortable webbing with neoprene padding on the noseband to help prevent rubbing. 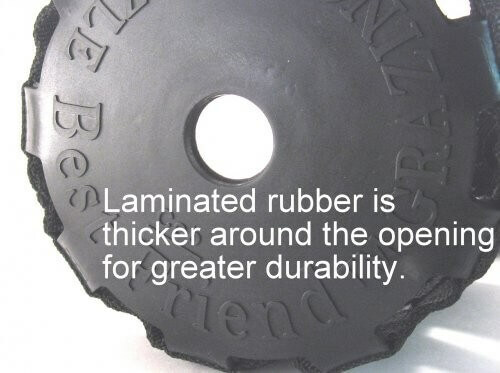 The bottom is made of flexible and durable reinforced rubber. 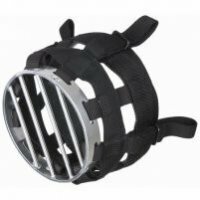 Both designs have a breakaway feature that will hold in place under normal circumstances, yet will break away if a horse panics and struggles to free itself. 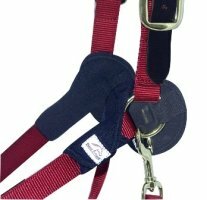 This feature greatly reduces the risk of injury to the horse. 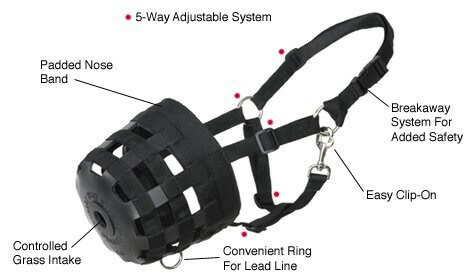 Found the muzzle to be great quality and worth the money compared to other brands. Service was also excellent. Good idea to double check sizing. Hole slighthly smaller than other makes so make take a while for horse to get used to it. 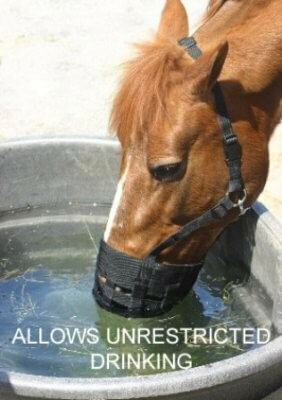 I am using a muzzle 6 to 10hrs a day for laminitic and it is working a treat to keep weight down/loose weight. Pony hated idea at first and would rear. Tried all sorts to get her to accept. What worked for her was feeding her treats inside muzzle (but not putting it on) and also leaving muzzle on ground with treats in it. 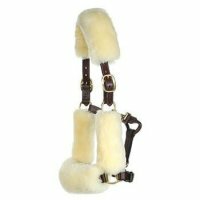 Then once she did not see it suspiciously, I could put it on easier by putting headcollar on first, taking her to gate where she knows there is some grass, then the second she has it on, I open the gate. She now knows it means access to food and freedom. Well worth perservering with as it has changed her life and helped to keep her alive.